The ability of the American oil producers to grow production continues to amaze. Shale oil production in the Permian Basin keeps surging higher. Unfortunately, the inability of American oil producers to plan for this production growth also continues to amaze. This production growth has now overwhelmed the pipeline and refinery capacity in the region. It matters because all of this excess oil in the region has crushed the WTI Midland oil price — the price that Permian Basin producers receive for selling their oil. Permian producers are missing out on billions of dollars of cash flow because they have grown too far, too fast. What we need to first understand is that there is no single price for oil. In fact, there are many different prices for oil. Those price differences relate not just to the quality of the oil (heavy versus light), but also the location at which the oil is priced. Brent Crude — Brent is a type of sweet light crude and is the primary price for oil globally. It is the global supply and demand fundamentals that dictate the price of Brent. Nearly two thirds of oil transactions involve Brent pricing. As I write this, Brent crude is trading for $75.27 per barrel which is the price that global producers are getting for the oil they sell. West Texas Intermediate (WTI) — WTI (also a sweet light crude) is the main benchmark price for United States oil. When you see the price of oil being referred to on television it will most likely be WTI. WTI relates to oil produced from wells in the United States and delivered to the major oil trading and storage hub of Cushing, Oklahoma. As I write this, WTI is trading for $65.25 per barrel which is more than ten dollars less than Brent crude. That is a big difference — almost 15 percent. That means that U.S. producers selling oil at Cushing are receiving $10 less per barrel than other producers around the world for an identical product. WTI Midland — WTI Midland is the price for oil that is delivered to Midland, Texas. This is the main price for oil being produced in the Permian Basin which has been the main driver of “The Great American Oil Boom” over the past couple of years. Like West Texas Intermediate and Brent, this is a light sweet oil. As I write this, WTI Midland is trading for $12.07 less per barrel than WTI (which is already trading for $10 per barrel less than Brent). That means that Permian producers aren’t just receiving a selling price that is discounted from Brent, but are receiving a selling price that is further discounted from WTI. Because Permian producers have overwhelmed the Permian Basin’s infrastructure, companies are being forced to take more than a $20 per barrel discount to what global producers (and OPEC) are selling oil for. With production costs that come in around $30 per barrel, Permian producers are turning profits of $23.18 per barrel today. If they were receiving Brent pricing, those per barrel profits would be $45.27 per barrel (a difference of $22.09). That means that Permian producer cash flows are being cut in half by these big pricing differentials. Sadly, this is an issue that is not going to go away any time soon. There isn’t expected to be enough pipeline capacity added until the end of 2019 which means American producers are going to lose out on billions of dollars of cash flow over that time. This is exactly the same thing that happened in the Bakken a few years ago when production growth far exceeded pipeline capacity. I can’t believe the industry has made exactly the same mistake in the Permian just a couple of years later. 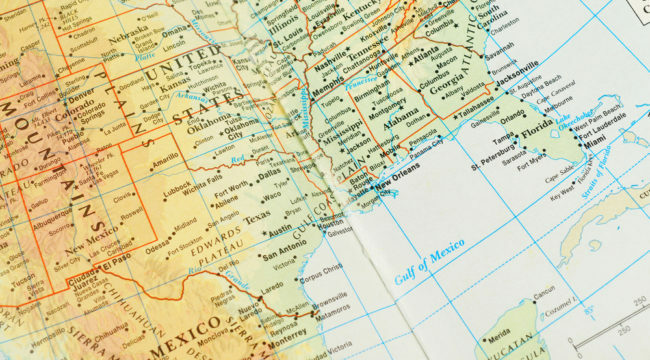 Not all Permian producers will be impacted in the same manner. Some companies have hedged away some or much of the risk of these differentials blowing out. Some have hedged little. All will be negatively impacted to some degree. For refiners who purchase oil from this region, this low Midland WTI price is terrific news — a virtual license to print money. These refiners get to purchase their raw crude oil input product at low Midland WTI prices and then sell their finished products (gasoline, etc.) at a price that is based off of global Brent pricing. That makes for extremely wide profit margins. Without a doubt the refiner that benefits the most from low Midland WTI prices is Delek (DK) with HollyFrontier (HFC) being a strong second. Delek can generate an extra $75 million in cash flow from each $1 per barrel that the Midland WTI price drops below WTI. And that is on top of the benefit that Delek receives from WTI trading at a discount to Brent. I’m sure these refiners are licking their chops because it looks like the next 18 months are going to involve some very fat profit margins.